The Environmental Health Laboratory (EHL) and Trace Organics Analysis Center (TOAC) are co-located on the fourth floor of the F-Wing of the Magnuson Health Sciences Center. 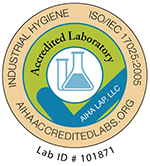 The EHL was accredited by the American Industrial Hygiene Association (AIHA) from 1977-2008 and is currently accredited by AIHA Laboratory Accreditation Programs, LLC (AIHA-LAP, LLC; Lab ID: 101871). We provide analytical support for the Field Research and Consultation Group and exposure sciences degree program in the Department of Environmental & Occupational Health Sciences. We also provide support to the Washington State Department of Labor and Industries and labor organizations, employers and workers throughout Washington. The TOAC is supported by research grants and income from fee-for-service analyses. 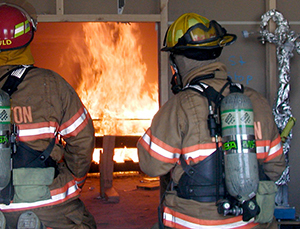 The EH Lab analyzes compressed air samples for Washington state fire departments. Provide analytical and consulting services to employers and labor through support to industrial hygiene and occupational medicine professionals in Washington state. Our expertise is in chemical hazard identification, monitoring, and analysis. Support training of industrial hygiene and occupational medicine professionals in chemical hazard assessment. Research and develop new analytical and sampling methodologies for workplace monitoring. The Environmental Health Laboratory began in the 1940s as the Environmental Research Lab within the Preventive Medicine division of the UW School of Medicine. Since that time, the Preventive Medicine division has become the School of Public Health and Community Medicine, and the Environmental Research Lab has grown into the Department of Environmental & Occupational Health Sciences. The EHL's laboratory-based services, teaching and research mission has continued to the present day.